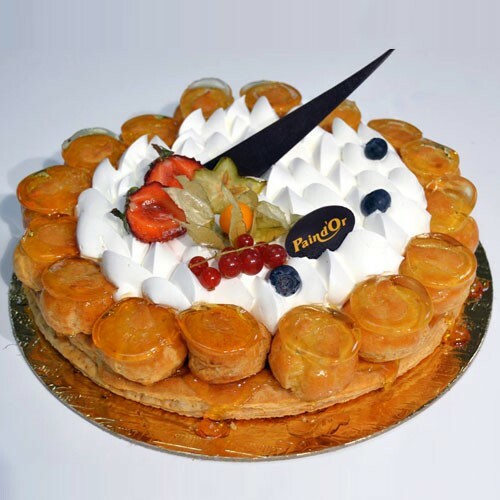 No one can resist this deliciously mouthwatering treat which has a tasteful mix of profiterole, two types of cremes and pineapples and topped with some fruits. Touched with just the right amount of sweetness, have this St Honore Galette treat delivered to you, and you'll understand just what we mean. Ingredients Profiterole, two types of cremes, and pineapples.